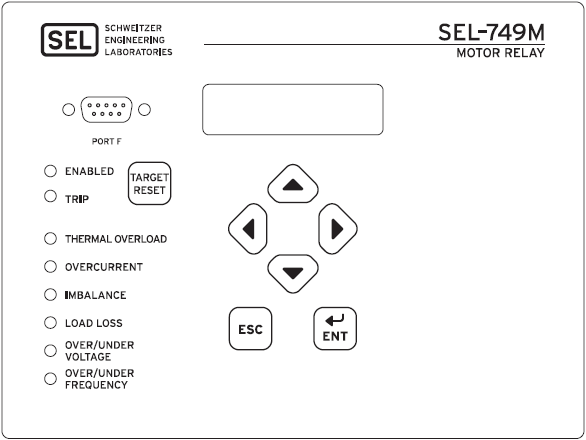 Get comprehensive motor protection and SEL-exclusive reporting and trending that save you money in your industrial motor plant and processes. 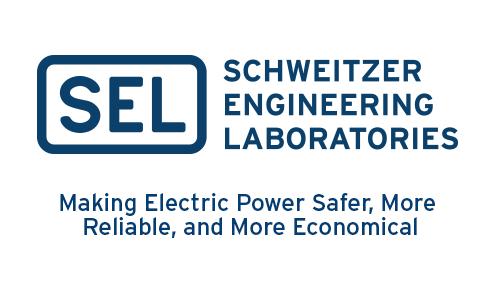 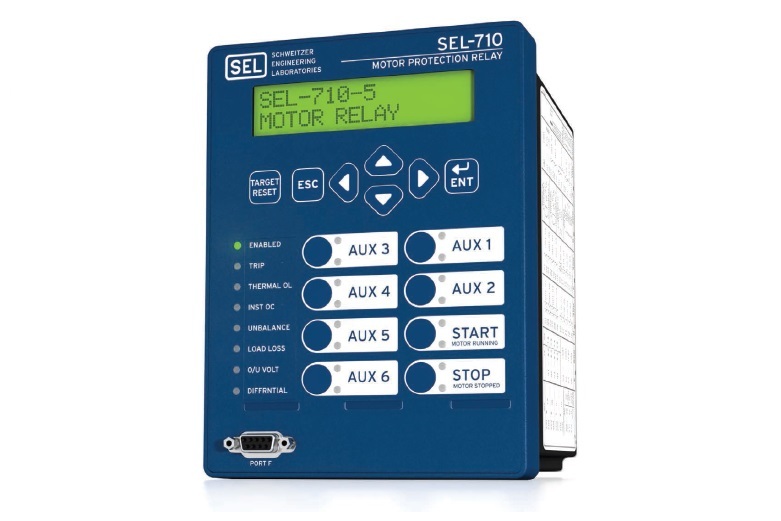 The SEL-749M uses the latest enhancements in the SEL-patented thermal overload model to accurately track the heating effects of operating and cyclic overload currents. 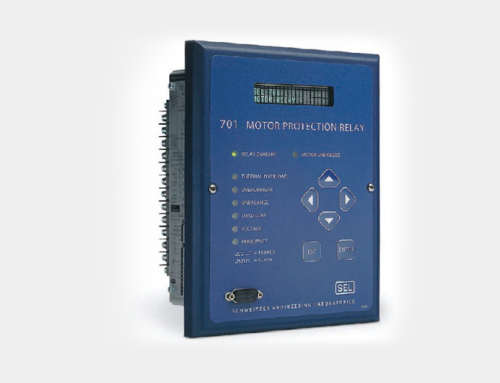 The relay offers all basic motor protection features, including short circuit, load loss, load jam, and frequent starting protection as well as imbalance current and phase-reversal protection. 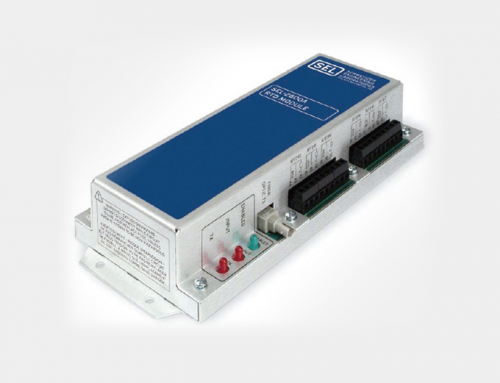 Add optional voltage, I/O, and communications capabilities to build the SEL-749M that is just right for your application. 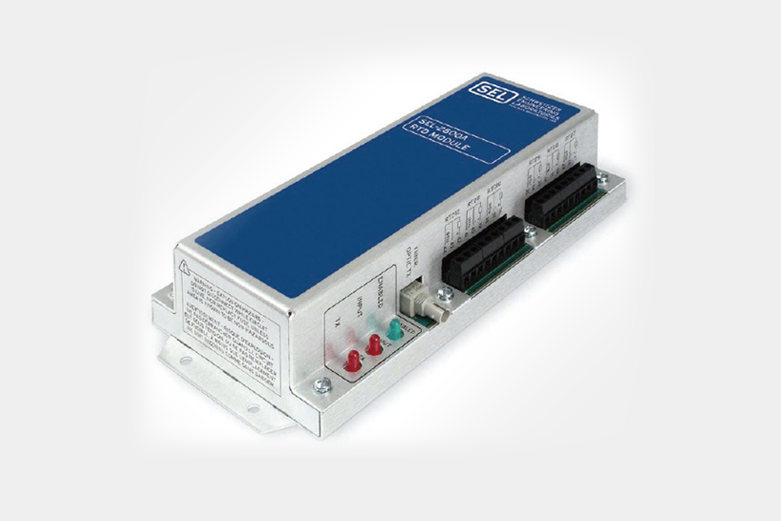 Eliminate false tripping, especially during cyclic overload operations.Release motor capability unavailable with traditional overload relays. 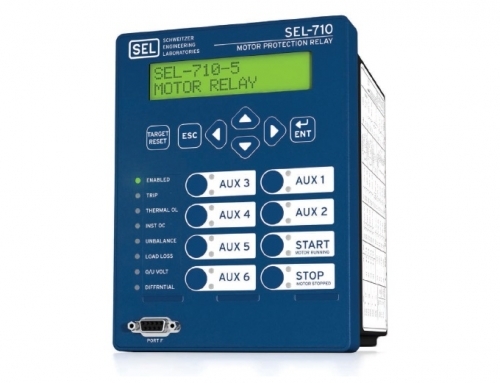 Track motor performance during the critical starting period with complete motor start reports and 30-day average motor start trending.Only SEL offers this valuable tool for tracking motor performance. 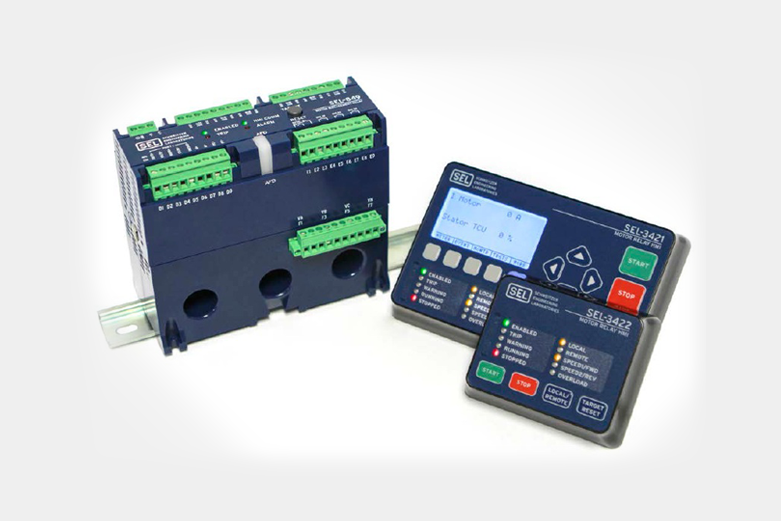 Customize the relay for your particular protection and control applications. 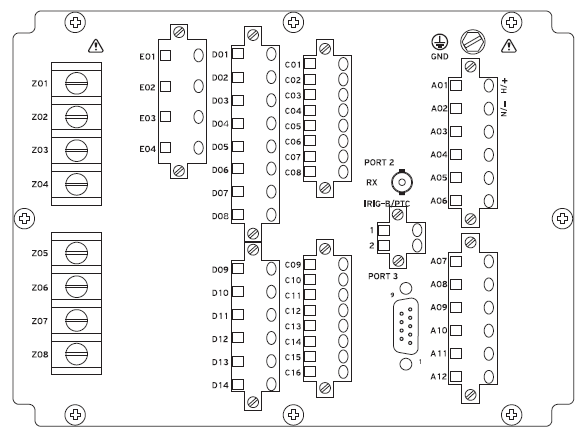 Select optional voltage, I/O, and communications cards. 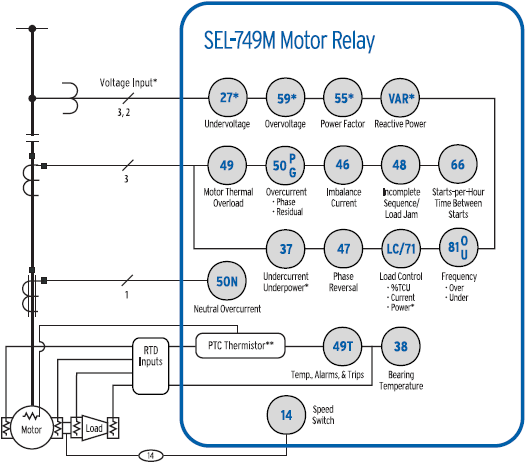 Troubleshoot motor/process problems using valuable, stored informa-tion about motors and processes from motor statistics, oscillograms,event reports, and sequential events records. 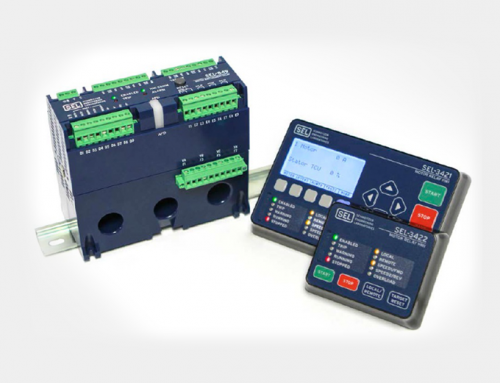 Communicate seamlessly with built-in SEL ASCII and optional Modbusand DeviceNet protocols. 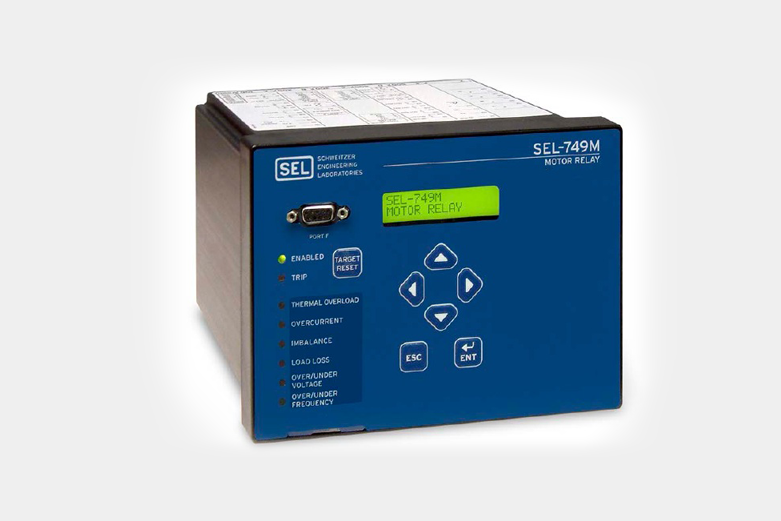 Quickly and easily set the SEL-749M with theincluded, Windows®-based ACSELERATOR®SEL-5030 Software.